About Climb GB | Set up in early 2009, Climb GB is a customer oriented business and aims to provide the best experience possible, offering professional high quality instructional courses with the British mountains and crags as the learning environment. So if you are looking for your next outdoor adventure activity then Climb GB can help; whether you want to learn to climb, improve your hill walking skills, master the art of navigation or explore the mountains in winter with confidence. All courses can be tailored to your individual needs and are suitable for absolute beginners looking for an introductory session to those with experience looking to advance their skills. In addition to the instructional courses, Climb GB also provides a weather information page and a selection of gear reviews. The aim of Climb GB is simple: to help people gain even more enjoyment from their activities, either through instructional courses or with the additional online resources. 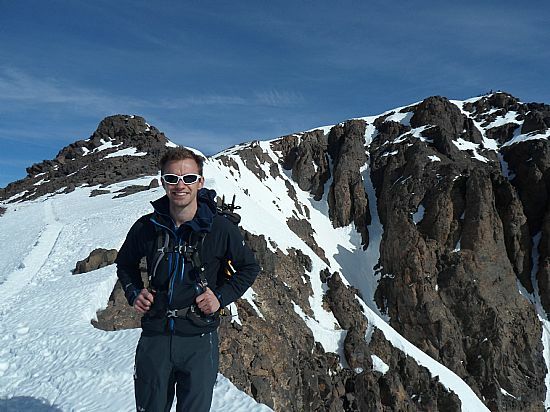 About Tom Hopper | “I am a keen hill walker, mountaineer and climber. I’m extremely active in all three of these sports and have accumulated a wealth of experience stretching back to my first notable adventure in to the mountains in 1992 (Austrian Alps). In pursuit of these activities I have travelled throughout Britain, as well as further a field in places such as the Alps, the Andes, South-East Asia, North and East Africa. I currently hold the Summer Mountain Leader Award, the Winter Mountain Leader Award, the Single Pitch Award and the Climbing Wall Leading Award. I am also a degree graduate, with a BSc (Hons) in Geography & Sport. As an instructor my primary role is to give people an enjoyable and safe time; ultimately aiming to provide a fantastic sense of adventure whilst climbing or in the mountains and also help people to learn a great deal in the process. I have been instructing for over a decade now and still enjoy every moment. My work is diverse and extremely rewarding with my customers and clients always unfailingly inspiring, interesting and enjoyable to be around." Climb GB Gift Vouchers | Buy someone special a gift voucher to be redeemed on any rock climbing, hill walking, navigation or winter course with Climb GB. Available in a wide range of denominations and with courses to suit all abilities Climb GB gift vouchers are a great gift idea. Pinpoint Adventure | Tom also runs Pinpoint Adventure; in addition to rock climbing and hill walking, Pinpoint Adventure also offers snowshoeing, DofE, underground adventures, forest schools, bushcraft and curriculum enrichment.